Thanks. I've also seen some paranormal things in my time, but I need to see a persons face to know if they really believe their own story. Know what I mean? Saw them both when I was a kid. Nothing since. They still control the world and like hats though. Weirdos. These guys? They don't control the world, lol. If they did, their lodges would be headquarters for the elite. They ain't, Headquarters surrounds Money Central, Washington DC. Those ones OBVIOUSLY aren't "high enough" to be in control. So theres no conspiracy or theory about that for you, those events make you a witness, not just a believer. 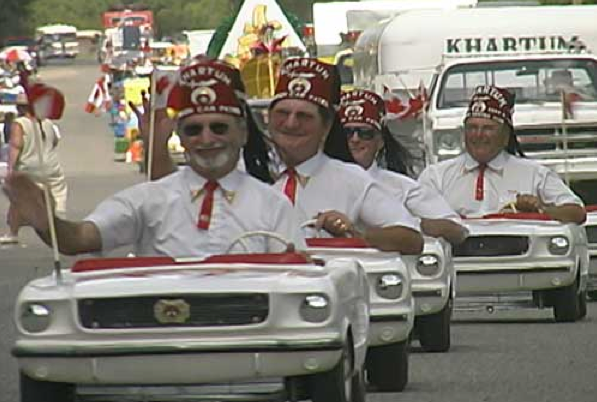 But aren't they the highest achievers, the "Shriners"? I suppose I mean, I rarely enjoy reading the stories here any,ore, because they often seem...unbelievable, to me at least. There's a whole other level. The super secret highest level. Nobody knows about them apart from they control EVERYTHING.